Tomorrow is a big day for me as I leave for Helsinki to hold the first international Like Minds event – Like Minds Conversation Helsinki: Real Time in Real Life. I am, of course, thrilled. I’m going to be meeting some exceptional people over this coming week, as well as taking with me a contingent of exceptional people to Helsinki to engage in a very exciting learning experience. This has also been a learning experience for me. I can tell you right away I’ve made mistakes and learned some valuable lessons for the future, mainly about community and how to organise an event over email and phone, without being there. Whilst I’ve spoken at events and planned events around the world, this is the first time I have planned an event from afar. I’ll be sharing these lessons over the coming weeks – probably in video form – which will be good to get your input on too. Want to know one of them now? Ok, you’ve pulled my leg. We were pretty prepared for that, but I never knew how easy it was until planning Like Minds Conversation Helsinki. The level of preparation that you need for an international event that you are organised virtually, as opposed to physically, is ten-fold, and likewise communication is ten-fold and the amount of lead time you require, and advance booking of all the elements is also ten-fold. I’ve already outlined how to improve this, and am already drawing up the partnership documents and the event run sheet for Washington DC in September and then Exeter in October now. My itinerary is arrive in Helsinki on Tuesday, and then meet with the local press and media as well as locals in general during the day. If you are in Helsinki, let me know. I want to meet you! Wednesday night I am speaking, as you know, at Dicole Oz on People-to-People (which will be streamed live), and then Thursday 17th June is the big day – Like Minds Conversation Helsinki. You’ll be able to follow the event live online at http://www.twitterface.com/likeminds, thanks to the wonderful team at Fresh ID, lead by my friends Lisa Qualls and the inestimable Kristi Colvin. Please do support me on the day by tuning in and also engaging on the #likeminds hashtag. Then Friday I am privileged enough to take our team of speakers and guests and spend a day with Visit Finland, the tourist board of the country, discussing and developing a Social Media plan for the country. I can’t begin to tell you how humbled I am that I find myself in this position – it doesn’t seem real to be honest to think I’ll be consulting a country – and I certainly feel the weight of the responsibility. Of course, the team of people we have is exceptional and I have every confidence that we will deliver a very high degree of value for Visit Finland. Probably the biggest thing in all of this (and as much as it seems a big deal, I know it’s still a small thing in the grand scheme and all), is that this is all happened quite unexpectedly. This is a theme I want to discuss later – I can categorically tell you that 6 months ago (with Like Minds already underway), I didn’t think I’d be here. And a year ago, I certainly didn’t think I’d ever be here. And where is here, exactly? I’m not here for profit. I’m here for a cause. I believe that the connections I am making, and the community I am fostering, will be a force for change, and ultimately, for the spiritual and physical benefit of many. 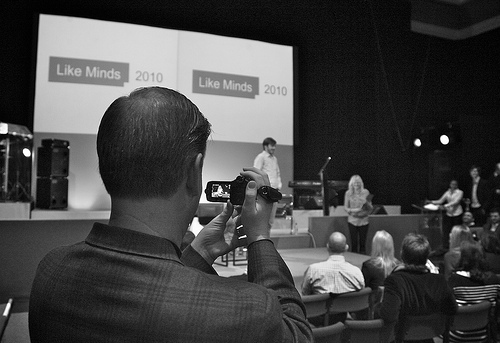 Photo from Like Minds Conference 2010, courtesy of Benjamin Ellis. Congratulations, Scott. Have a wonderful week. You deserve every success in this next exciting chapter of your adventure. Frankly, they are lucky to have you – *we* are lucky to have you. I’m keen to support you in any way that I can. Thanks Robin, I really appreciate all your counsel and encouragement which has brought me thus far. Will talk later in the week no doubt! It sounds wonderful. I hope everything goes as planned (or better) and I’m looking forward to the post-event evaluation! Hope it goes amazingly well, Scott. 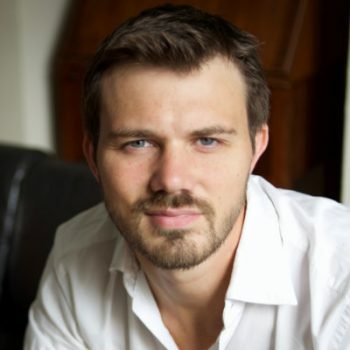 Several days into having heard about Likeminds, I’m completely captivated by what you guys are doing. I’ll be watching closely to see how it all goes. Thanks Rosa – will speak soon! Cheers mate – appreciate the kind words. Big times! Thanks Johnny – appreciate the kind words and speak more when I am back!